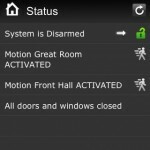 We all know how the iPhone can secure itself, but you can get it to secure your entire house as well. A while back, I briefly toyed with the idea of going without a landline. It’s an alluring prospect, and strikes me as satisfyingly post-modern. 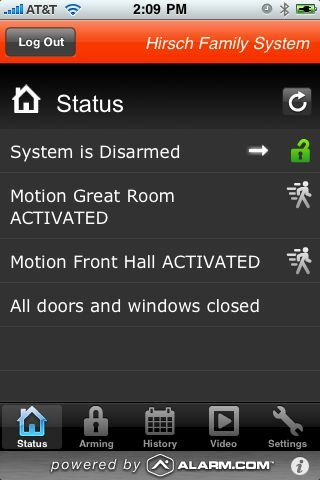 But one thing held me back: my home security system, which relied on a landline to connect it to central monitoring. So even though I went through a brief affair with Vonage until Verizon FiOS Triple Play pulled me back in, I had to keep a limited line connected to the house for our security system. I tried to get rid of it. Oh, how I tried. But until recently, retrofitting the system to go cellular, or swap it out with a more modern system using (for example) a secure cellular connection, always cost more than it was worth. Then our home security monitoring contract price went way up and all of a sudden, the price difference between retrofitting and acquiring a new system went down. That made getting the new system worthwhile. 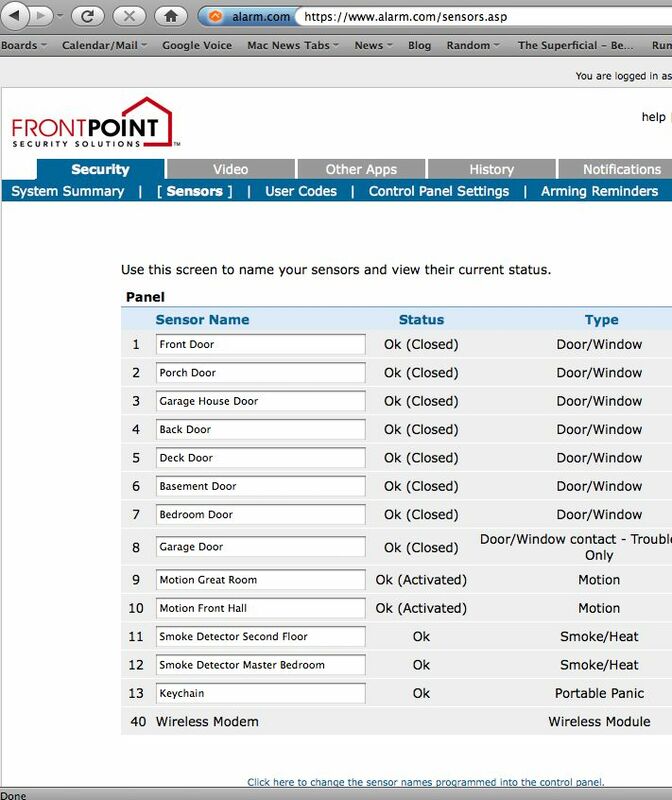 I went about trying to find a security system that would give me the flexibility I needed, as well as the knowledge that I wasn’t compromising home security. I already ran a small security program in the house to run a video baby monitor, but for the whole house, I needed some kind of central monitoring. Enter Alarm.com. 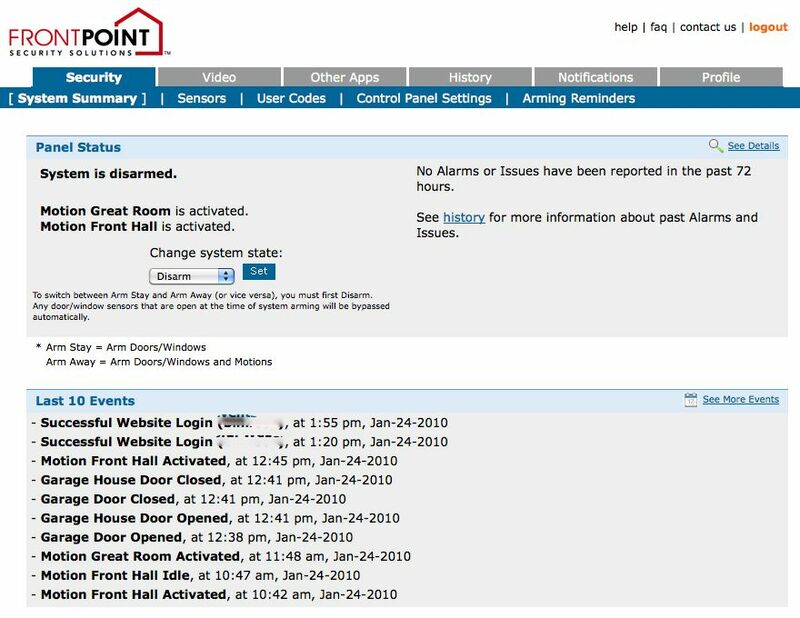 I was initially attracted to Alarm.com for a number of reasons, not the least of which was that it used a digital cellular uplink that finally cut the landline umbilical cord, and featured a cool way to manage the whole system online. It also boasted an iPhone app. But the company that came out to assess my needs wanted almost $3000 for an installation I was pretty sure I could do myself. 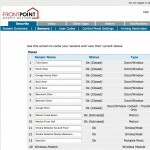 After mucking around a bit online, I found a company, FrontPoint Security, that is also affiliated with Alarm.com but is based on self-installation of wireless parts that you purchase a la carte from their site. A few hundred dollars later, I had my entire existing system re-created (door and window sensors, fire detectors, motion sensors, position sensors, plus a central console to wirelessly communicate with the parts and then uplink via GPRS to central monitoring) and ready for shipment. The process was very easy, and involved working with nice people. As promised, installation was very straightforward. It took longer than the 20 – 45 minutes that the company claims, but this was mostly due to having deep-set doors that required a bit of fancy positioning to get the sensors to work properly. Still, I felt like a rock star after so many years of feeling like I was out of my league even thinking about security systems. Not everything about the system has been as expected. Setup of the the wireless pan-and-tilt camera stubbornly refused to play nice with OS X, so for the initial setup I had to resort to Parallels and — gasp — Internet Explorer. 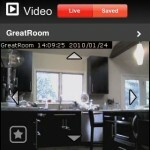 The camera has proven to be a tricky little setup as it frequently loses connectivity despite the fact that it appears to be locked on to the network. I’m still working on this, and during the time the camera works properly, it’s great to be able to check things out both in a standard web browser and also through the iPhone app. 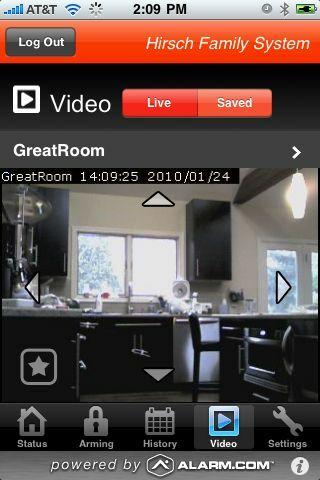 The video feed on the iPhone is nicely designed. Turning the iPhone sideways instantly sets the feed to full-screen. The camera has positioning presets, so I’ve had a ball scanning around the room. However, the camera keeps disappearing from the network. I’m getting some wonky log statistics out of my AirPort network, and I’m just not quite sure whether the problem is due to the network or the camera. Because I can’t troubleshoot the camera or check firmware without Windows, I find myself throwing my hands up and letting the problem fester until it bugs me enough to fire up IE. Aside from the camera issues, we put the system through its paces on a recent week-long trip out of town. Our neighbor’s young son was coming by daily to care for our cats. 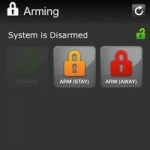 Rather than have him handle disarming the system, we used the iPhone to disarm the system remotely as soon as he was at the door, and rearm it after he left. It worked like a charm. Another useful feature is the logging. 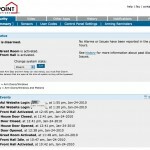 On both the web interface and the iPhone app, you can see a running log of what’s going on where. I can see which doors opened when, and you can even set up email reminders if, say, you inadvertently leave the garage door open more than a certain amount of time. I’m not saying I’m forgetful, but, wait….where was I? 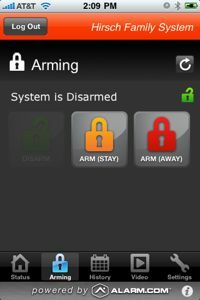 You can also set temporary disarm codes if someone needs access to your house. All in all, we’re happy we made the jump. Nothing makes me more thrilled than finding another function for my iPhone. Now if only I can get that camera working reliably… As soon as Skype enables number portability, I’m going to cut my landline for good with a big pair of ceremonial scissors. You’re all invited.